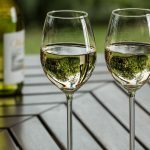 In Europe, 13% of 15-year-olds consume alcohol at least once a week, and Estonian adolescents in particular have been shown to engage in high levels of alcohol consumption (WHO, 2016). Our research aims to develop and evaluate interventions to reduce adolescent alcohol consumption in Estonia. “Effekt” is a parent-oriented alcohol prevention programme piloted in Estonia in 2012–2015. The main objective of the programme was to delay and reduce adolescents’ alcohol consumption by maintaining parental restrictive attitudes towards adolescents’ alcohol use over time. To evaluate programme’s effectiveness, a matched-pair cluster randomised controlled trial was conducted in parallel with the programme (three assessments – baseline, 18- and 30-months). The trial included 66 schools (34 intervention, 32 control) and a total of 985 fifth grade adolescents (~11-year-old) and 790 parents at the baseline. Assessment of the programme is a part of Mariliis Tael-Öeren’s PhD. MyOwnMe (Oma Mina) is a digital web and mobile phone intervention for reducing Estonian adolescent and young adult alcohol and tobacco consumption. The content of this intervention was informed by a systematic review and meta-analysis, focus group study, psychological theory, and participatory design. MyOwnMe is a tailored web program linked to a daily mobile phone text-messaging program. A pilot study with Estonian adolescents and young adults (N=22) indicated feasibility of implementation in Estonia and acceptability of intervention content. No difference was found between the intervention and control group in alcohol (mean difference = -0.2 95% CI (-0.9, 0.6), p = 0.62) or tobacco consumption (30-day abstinence from cigarette smoking RR = 1.25, 95% CI (0.81, 1.94)) after the 8-week study period. Results of this pilot study will be used for recommendations on the development of individually tailored web and mobile phone interventions for Estonian adolescents and young adults.